Tensile often works on the edge, both figuratively and literally. Our work challenges what has come before but will always respond to a projects context and intent. 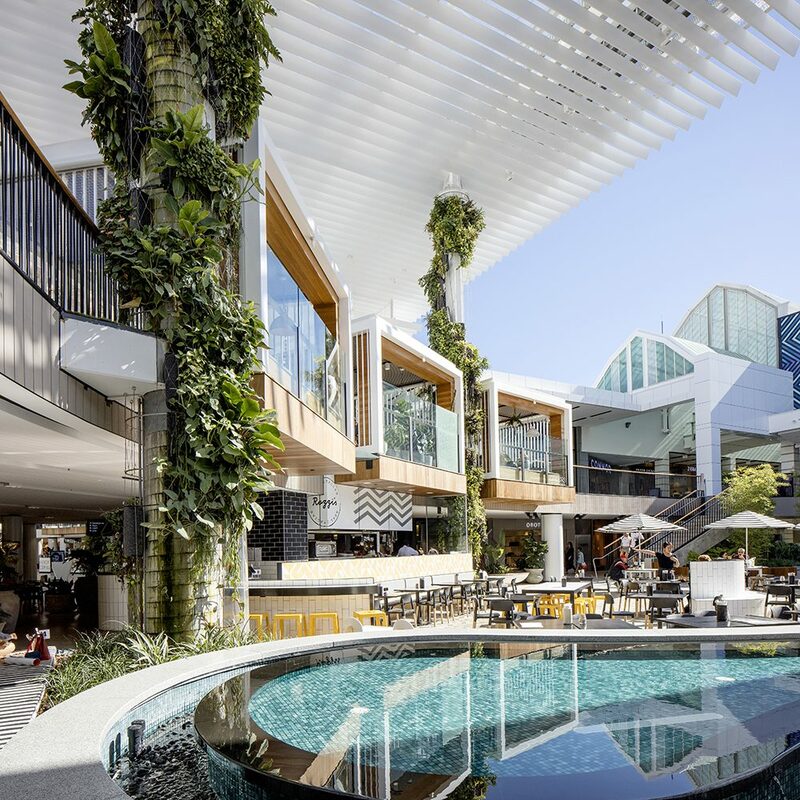 When Scentre Group approached Tensile to assist in the creation of 14m high columns of plants for their latest redevelopment at Warringah Mall, saying we we’re excited is an understatement. The 17 columns scattered throughout the development provide a combined surface area of approx 500m2. 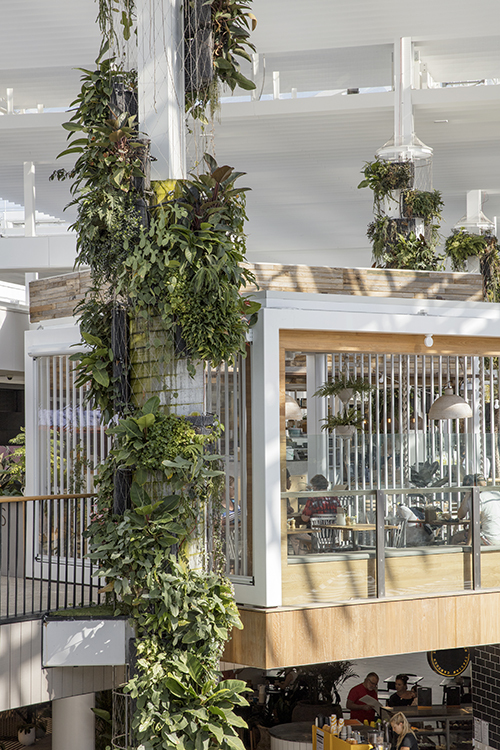 The approach was to provide a mix of both green facade and green wall, giving an instant impact but minimising the cost and allowing the columns to mature over time. 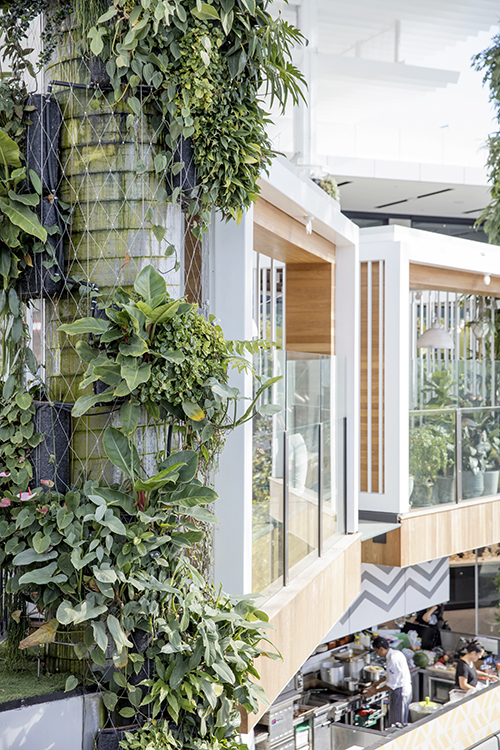 Tensile worked closely with green wall and roof expert Fytogreen,who provided the green wall panels, plant selection and irrigation system. Being circular columns each side has its own aspect and micro-climate. 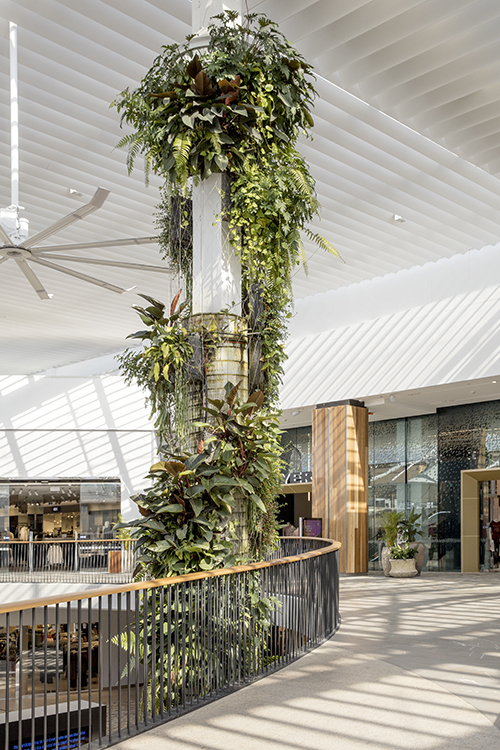 The difficulty of selecting a planting palate for this is then compounded by the various built elements that further influence plant selection through shading, reflective surfaces and heat gain, whilst being under the ETFT roof. The Fyto panels are suspended on a set of 4mm Jakob stainless steel cables and are able to be removed and replaced with ease. 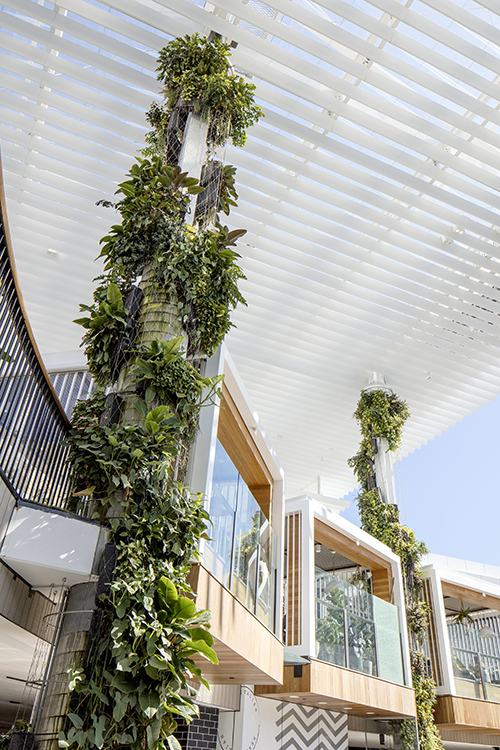 By hanging the system off the columns Tensile removed the need for any secondary structure allowing the panels to float in mid air. 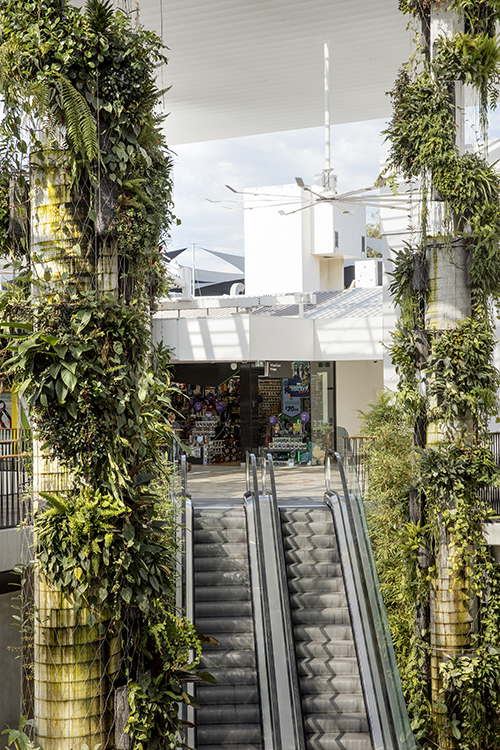 The whole column is then wrapped in a layer of Jakob Webnet mesh to provide a further substrate to the climbers that will grow out of the ground level planters and some of the Fyto panels over time. Already in the 6 months since installation Tensile has seen some fantastic growth rates. 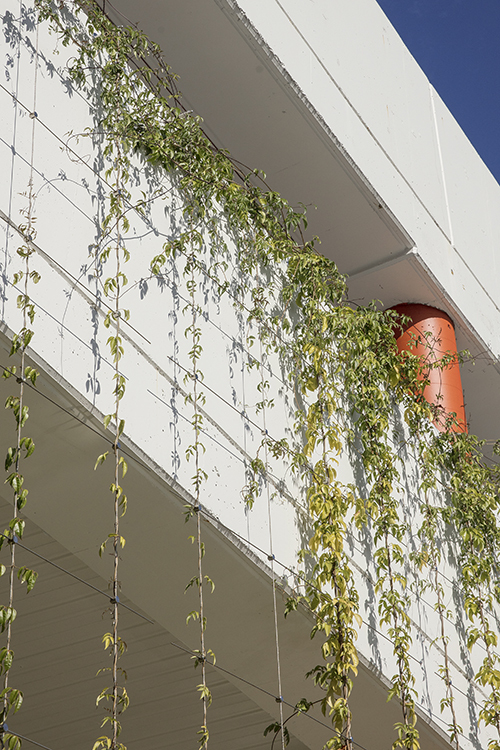 Tensile went on to provide further cable systems to the car park facade for the project which over time will soften the hard concrete exterior. 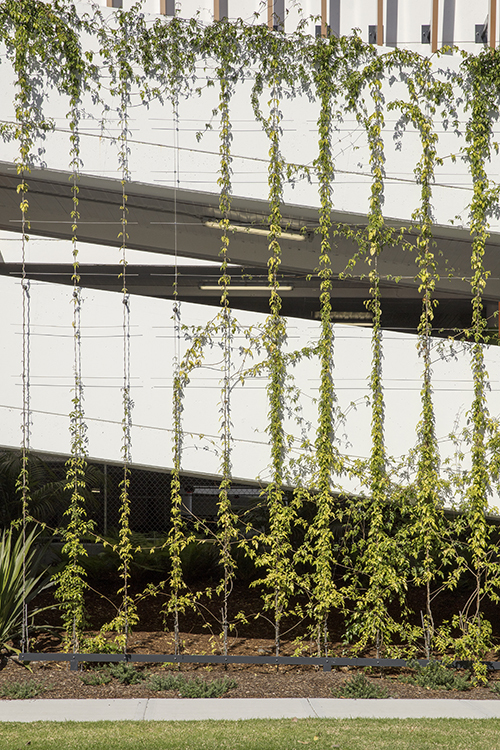 This hybrid approach to a green wall and green facade provides excellent outcomes to Tensile’s clients. 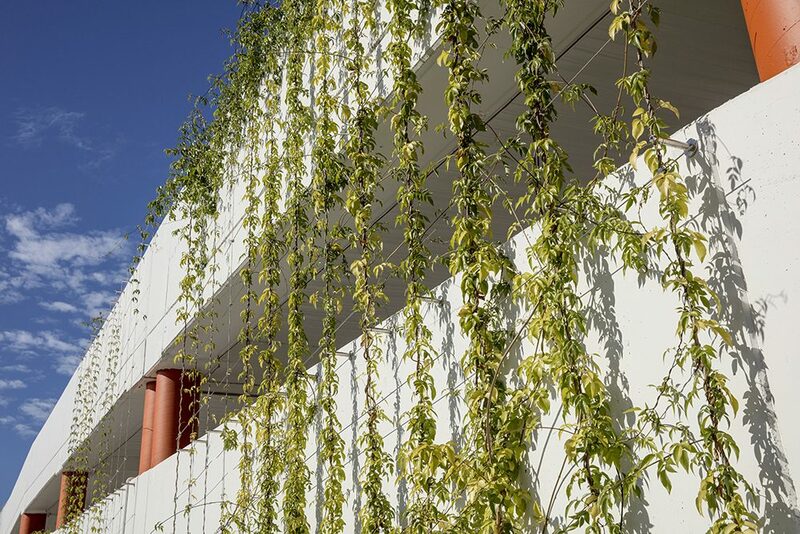 The benefits of a broader planting palate, mixing instant impact and sustainable growth over time while reducing the costs of a fully planted wall outweigh the old methods for designing green infrastructure. 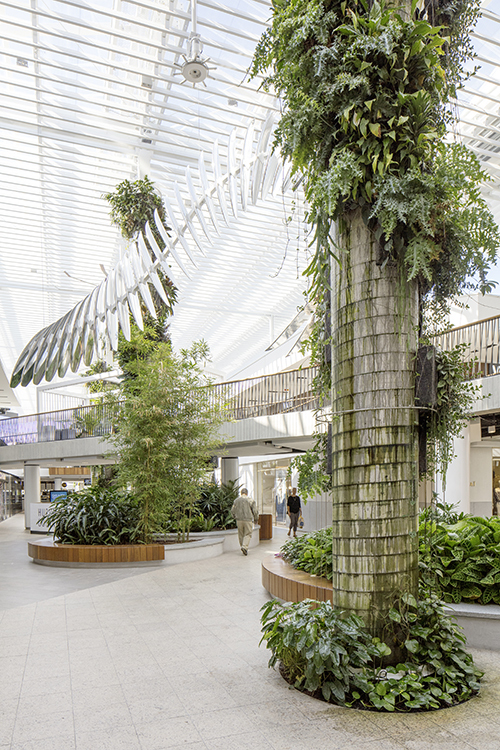 What we have created here has flow on effects through the boarder built environment. For further information feel free to contact Tensile.